At last the opportunity arose to get up to Nottingham and return to the mighty River Trent. It’s been a long time since we cast into the murky depths of this amazing Midlands river. Geoff and I headed to our first of two destinations on a Worksop stretch. This area is a little narrower and in places, fairly well tree lined. 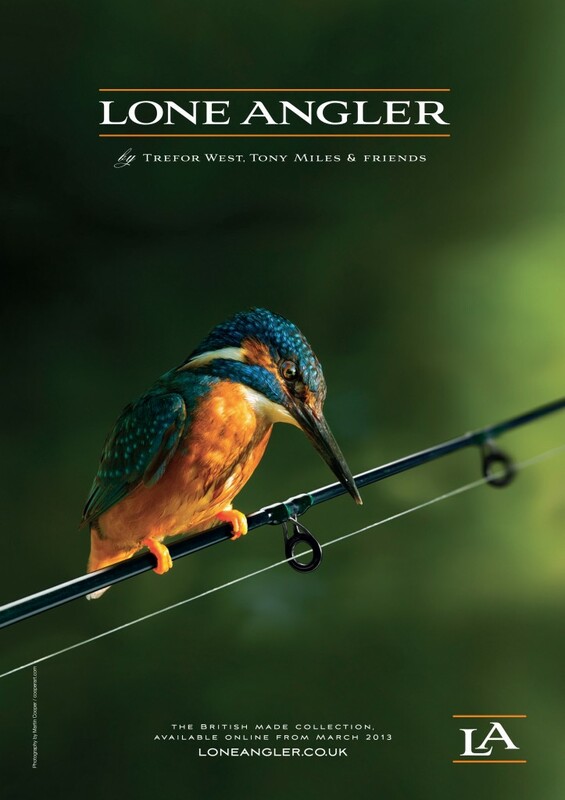 Last time around and in my absence, Kevin managed to entice a stunning 12lb+ fish from this stretch. Not bad considering Kevin’s health prevents him from fishing very much. In fact this was possibly his first trip of the season. The level close in is deep, and I mean deep; probably 12 feet just off of the rod top. The downside is that in places it’s strewn with rocks, so a bit of a tackle graveyard. There are some clear spots though and it’s nice to be able to fish close in for a change. On this occasion I wanted to head downstream to an area that I’d looked at before. Although slightly more open, it just looked fishy! I was hoping that the level would be more in the region of 6-8 feet and with a gravel bottom. In fact it pretty much matched what I was hoping for. Geoff set-up his stool just downstream of me and by now it was probably 5.30pm. We hoped to fish through till about 1am or so. During the evening I started to see quite a few fish topping, including some sizeable fish. Both Geoff and I also started to pick up a few bream, which this area is known for. I think Geoff weighed his biggest bream in at over 6lbs, not a bad fish. We both had around 6-8 bream apiece throughout the session. Luckily the upstream rod hooped over and at last a barbel surged off into the depths. This felt a decent fish and after a protracted fight I eventually landed what looked like a scraper double. I was delighted with the scales’ result at 10lb 2oz. Geoff offered to take a photo and whilst I was resting the fish in the landing net the other rod whacked round and that resulted in a 9lb 2oz barbel. Not a bad brace really. Geoff had by now caught a barbel as well and I followed those two up with fish of 8lb 14oz and 9lb 8oz. Overall I was pretty chuffed with the results in an area I hoped would be productive. I’m sure we’ll be back here soon. 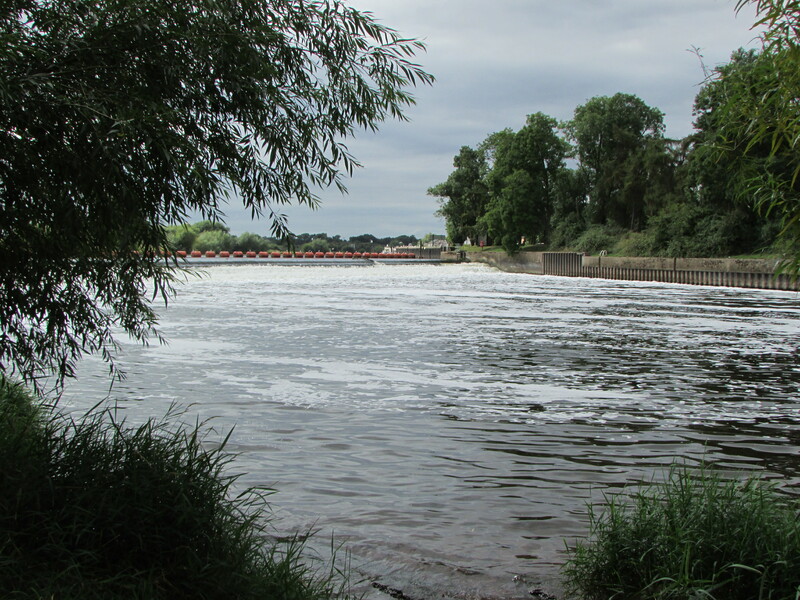 The next day saw us head to a far more famous stretch of the Trent; Gunthorpe Weir. We went for a recce first and then lugged the tackle up to the weir itself. I fished pretty much opposite the wall of the lock, just downstream of the weir. The flow was good and favoured our bank and the depth appeared to be around 6/7 feet with a clear gravel bottom. The set-up was probably typical Trent stuff; 2 x 1.75lb Torrix barbel rods, 12lb mainline, 3-4ft Suffix Camfusion coated braid hooklinks and size 12 hooks. I fished double 8mm caviar pellets on both rods. 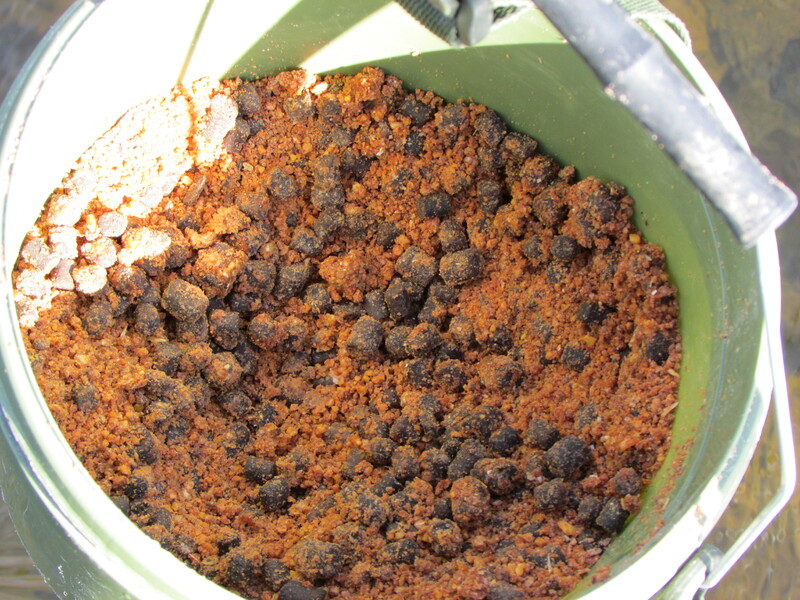 I also used 3oz cage feeders packed with Ocean Pride groundbait with added 6mm and 8mm caviar pellets mixed in. I also put in a glug of liquid anchovy extract for good measure. As always I cast every few minutes to start with, gradually extending the period in between casting. The Trent is a big, powerful river and in my opinion you need to get a good carpet of bait out to pull the barbel in. I keep casting every few minutes for at least an hour to an hour and a half, before extending the casts to maybe every 15 minutes. This seems to work well and gets the barbel grubbing around in the swim. 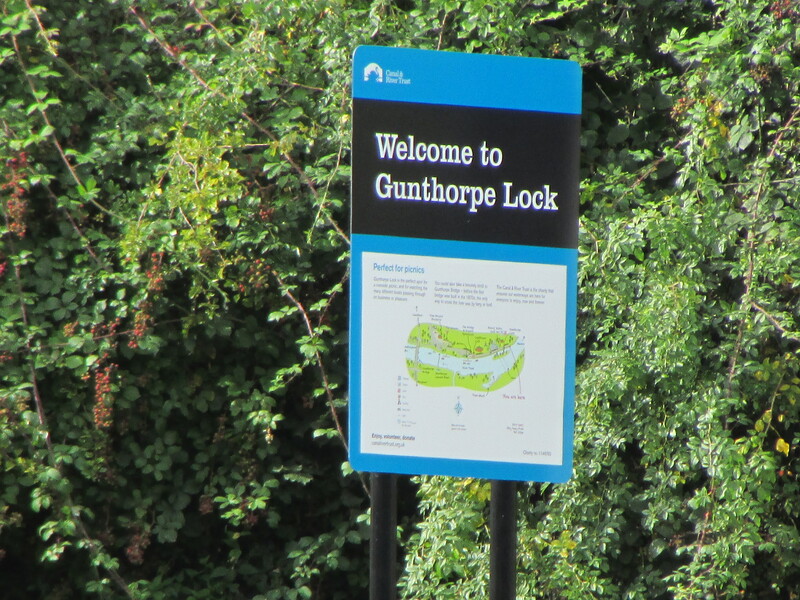 We arrived at Gunthorpe at around midday. From 3pm onwards a procession of anglers arrived on the opposite bank, all armed with carp porters and an abundance of tackle. By 6pm I would think 15 anglers had set-up with bivvies and rod pods. By nightfall it was like Blackpool illuminations on the opposite bank with bite alarms screeching out occasionally followed by cries of “barbel! That’s a barbel!” and the frantic sprint from the bivvy 30 yards away to the rods. Sometimes it took people so long to get to the rods, the fish had gone by the time they picked the rod up! Yes it’s barbel fishing but not as we know it. Down here in the south, fishing the much smaller and more intimate rivers, it’s not a style of fishing I’m used to. However on the Trent it’s the way things are done and I’m honestly not knocking it, just having a bit of a jest. I’m just not used to that style of approach. Each to their own of course. Throughout the afternoon and early evening I was getting lots of taps and pulls, some that were obviously hooked fish. I ended up with around 6-8 nice roach and a similar amount of small skimmer bream. 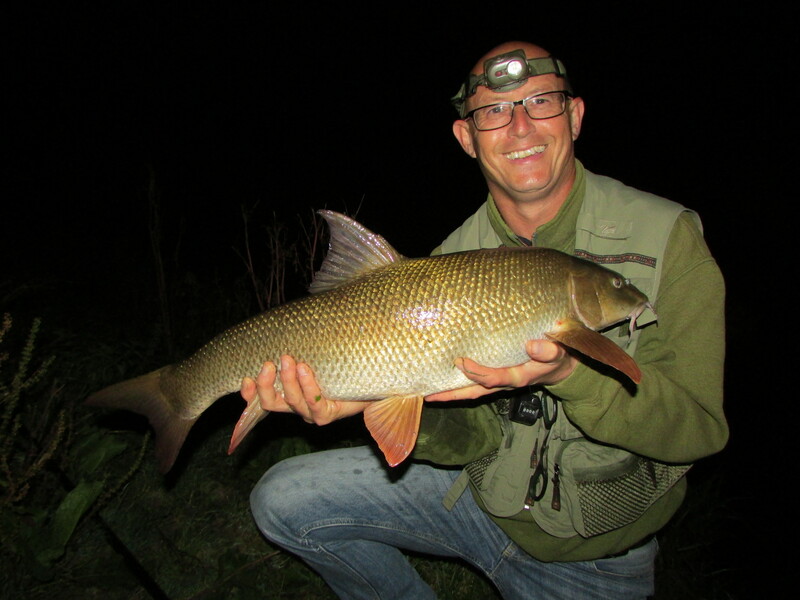 As the evening wore on it looked less and less likely a barbel would put in an appearance, despite one of the regulars assuring us that after dark the fishing comes alive. Of course that’s always the kiss of death and I’m sure it can be incredible fishing on its day. Sadly today wasn’t that day. 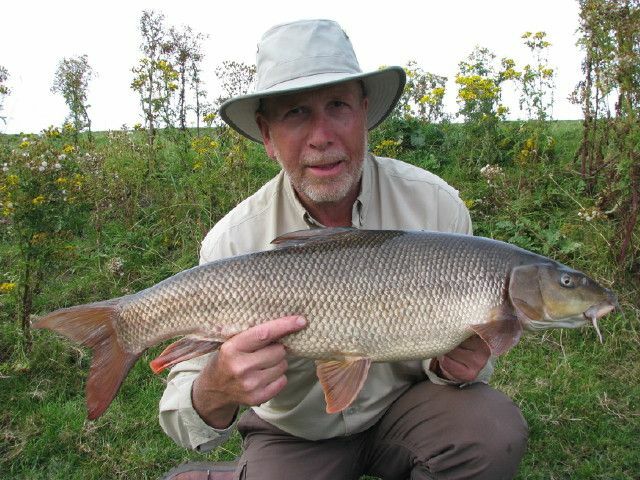 I did manage one barbel of around 6-7lbs and Geoff tempted 2. By 11.30 all was quiet. I was knackered and so we opted to call it a day. I’m sure we’ll be back for another go though before winter sets in.